The rabbits have taken over a nice garden in Essex, and the foxes aren’t far behind. Who you going to call? Roger Lait. 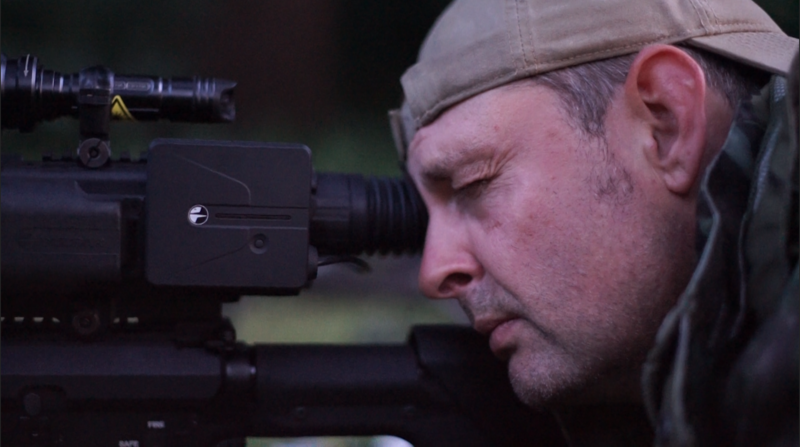 He has an AR-style rifle in .223 and the new Pulsar N970 LRF night vision scope. We know Roger Lait best for his air-gunning exploits, you can normally see him on the channel carrying his flashy BSA air rifle to his beloved HFT competitions. But, this time we see him with a different flashy rifle, his foxing rifle. Luckily, this time everything is in working order.Alex Howell is doing the filming. “I think it works well with Alex as we share a similar sense of humour which helps when I muck up lines and he just takes the mickey out of me,” says Roger. “I think he gets some amazing shots and makes it look the business. “As for using Thomas Jacks equipment, I can’t tell you how much I love using it. Their night vision equipment is just such amazing gear and makes shooting at night a doddle.